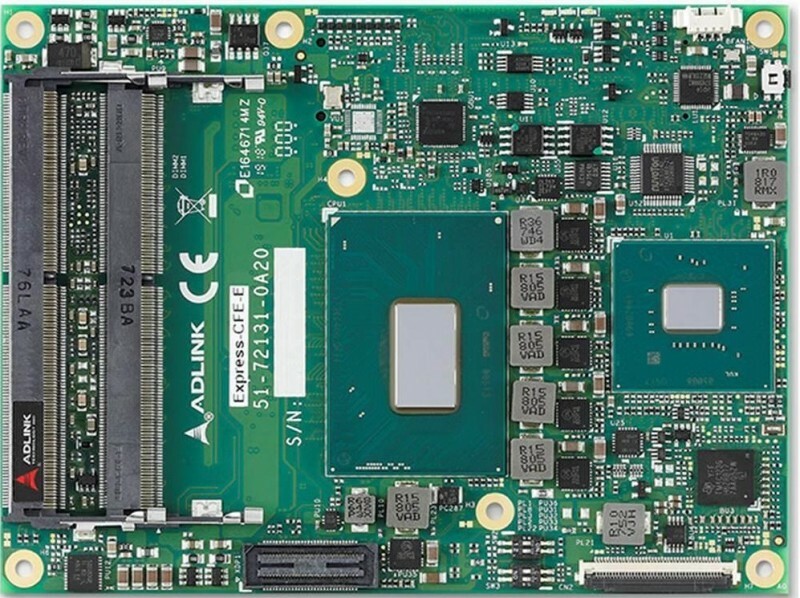 Aaeon has posted specs for a Linux-ready “UP Xtreme” SBC with a 15 W, 8th Gen Whiskey Lake-U CPU, up to 16 GB DDR4 and 128 GB eMMC, 2x GbE, 6x USB, SATA and optional AI Core X modules via M.2 and mini-PCIe. 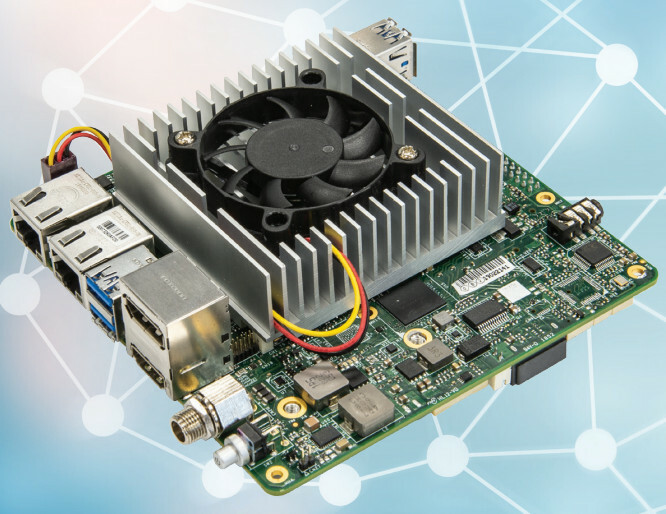 Aaeon’s community-backed UP project, which most recently brought us the Intel Apollo Lake based Up Squared and UP Core Plus SBCs, has announced an UP Xtreme hacker board built around Intel’s 8th Gen Whiskey Lake U-series Core processors. This is likely the fastest open-spec, community-backed SBC around, depending on your definition. (click images to enlarge)Despite lacking full schematics, the UP boards barely qualify for our catalog of open-spec Linux hacker boards. However, DFRobot’s maker-oriented LattePanda boards, including the Kaby Lake based LattePanda Alpha, do not. In any case the 1.6 GHz/2.6 GHz, dual quad-thread Core m3-7Y30 on the LattePanda Alpha would not match the performance of the quad-core UP Xtreme model. Other boards that come close include Hardkernel’s more fully open-spec, quad-core Gemini Lake based Odroid-H2. The only SBCs we’ve seen announced with the 14nm fabricated Whiskey Lake are Congatec’s 3.5-inch Conga-JC370 and thin Mini-ITX Conga-IC370. 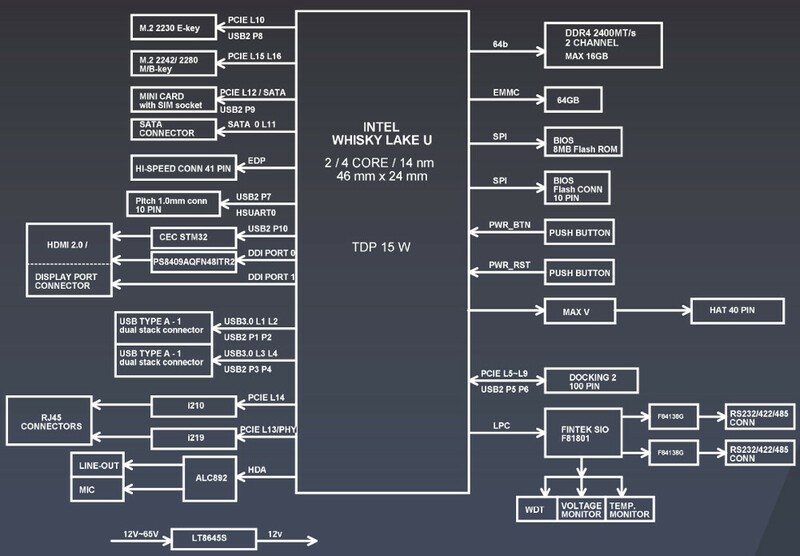 The Whiskey Lake U-series chips are notable for providing quad-core configurations with the same 15W TDPs of Intel’s earlier dual-core U-series chips. The quad-core models offer a performance increase of up to 40 percent compared to previous U-Series processors. Aaeon appears to support all five Core i7/i5/i3 models, all but one of which are dual-threaded. The models range from the 1.8GHz (4.6GHz Turbo), quad-core Core i7-8565U to the 1.8 GHz (3.9 GHz Turbo), dual-core Core i3-8145U. Congatec clocks the latter’s base speed at up to 2.1 GHz, but Aaeon lists only 1.8 GHz base frequency for all the models. The Whiskey Lake processors integrate Intel Gen9 UHD Graphics 620 with 24 EUs. They’re also notable for supporting USB 3.1 Gen2 with up to a 10 Gbps transfer rate. Sadly, however, the UP Xtreme does not include a USB 3.1 port, perhaps to reduce costs. Even still, the board is not likely to make our under-$200 cut-off for the hacker board catalog. As noted in the CNXSoft post that first revealed the SBC, the lowest cost i3-8145 Whiskey Lake model sells for $281, suggesting the lowest Xtreme price might be about $350 to $400. At 120 x 120mm, this is the largest UP board yet. 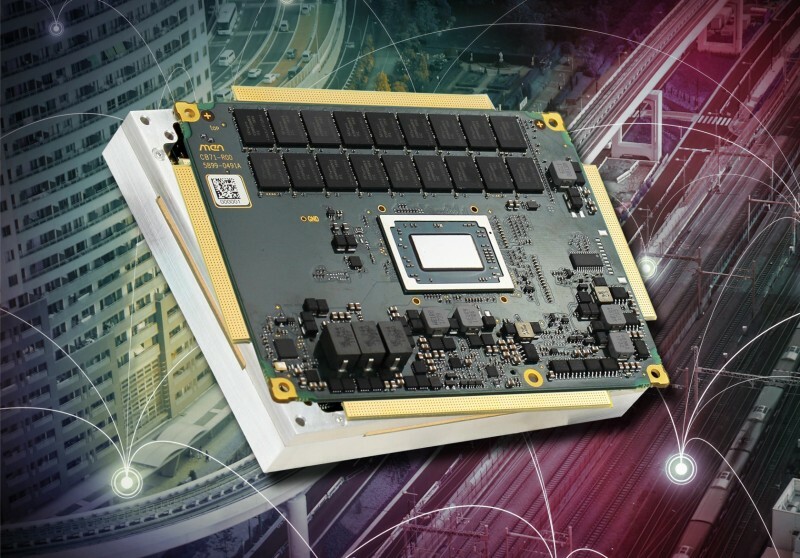 The SBC supports up to 16GB DDR4 and up to 128GB eMMC. In addition to offering a powered SATA interface, there’s a SATA option on the M.2 “B/M” key slot, and mSATA is available via the similarly multi-purpose mini-PCIe slot, which is accompanied by a SIM slot. An M.2 Key E slot is also onboard. The stacked HDMI and DisplayPorts will no doubt give you 4K video, and you can probably get triple 4K displays if you use the onboard 3DP header with backlighting. Audio headers are also available. The UP Xtreme is further equipped with 2x GbE and 4x USB 3.0 ports, plus additional USB and RS232/422/485 headers. There’s also a pair of STM32 I/O headers, which may offer GPIO related to the STM32 MCU. Like other UP boards, further expansion is available via a 40-pin “HAT” GPIO connector, which suggests it can run some Raspberry Pi HATs. There’s no explanation for the 100-pin docking connector, which appears to offer four different options for I/O daughtercards (see spec list below). The UP Core Plus offers dual 100-pin connectors for various AI-enhanced add-ons such as the Cyclone 10GX-based AI Plus and the Myriad 2 based Vision Plus. However, the brief marketing copy on the UP Xtreme teaser page suggests that the UP Xtreme’s touted AI capabilities are instead launched via the M.2 and mini-PCIe slots. (click image to enlarge)Aaeon notes the ability to add AI Core X Neural Compute Engine modules with 1TOPs neural acceleration performance. 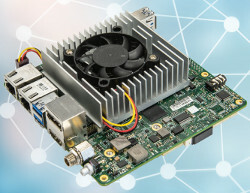 Equipped with Intel’s new Movidius Myriad X VPU, which also drives Intel’s new Intel Neural Compute Stick 2, the AI Core X modules are available in a variety of M.2 and mini-PCIe models. No pricing or availability information was provided for the UP Xtreme. More information may be found at Aaeon’s UP community UP Xtreme product page. This article originally appeared on LinuxGizmos.com on March 19. 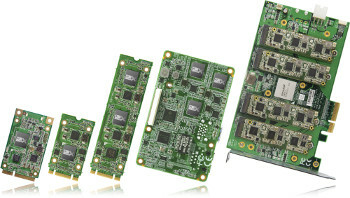 ADLINK has introduced its latest COM Express Type 6 modules. According to the company, Express-CF modules are equipped with the 8th generation Intel Core processor family and Intel Xeon processor E-2100M family, and are the first Type 6 modules to support both Xeon and Core i7 Hexa-core (6-core) CPUs. These Hexa-core processors support up to 12 threads and a turbo boost of up to 4.4 GHz. Compared to earlier mobile quad-core Xeon and Core i7 CPUs, the additional two cores of the new Hexa-core CPUs results in more than 25% performance boost at no significant cost increase. ADLINK’s Express-CF provides standard support for up to 48GB non-ECC DDR4 in three SO-DIMMs (two on the top side, one on the bottom), while complying with PICMG COM.0 mechanical specifications. Modules equipped with the Xeon Hexa-core processor support both ECC and non-ECC SODIMMs. With integrated Intel UHD Graphics 630, the Express-CF supports up to three independent 4K displays via DisplayPort, HDMI, DVI and LVDS. ADLINK also offers either eDP or analog VGA as build options by customer request. Additionally, the Express-CF supports Intel Optane memory and NVMe SSDs through high speed PCIe x4 Gen3 interfaces. Axiomtek has announcedthe MMB501, its newest Micro ATX motherboard powered by the LGA1151 socket 7th/6th generation Intel Core i7/i5/i3, Pentium and Celeron processors (formally codename: Kaby Lake/Skylake) with Intel Q170 chipset. The MMB501 supports four high bandwidth 288-pin DDR4-2133/1866 with a memory capacity up to 64 GB. The industrial-grade micro ATX motherboard is expandable with one PCIe x16 slot, two PCIe x4 slots, one PCI slot and one full-size PCI Express Mini Card slot. Moreover, the embedded board supports triple-display via DisplayPort, HDMI, DVI-D and VGA interfaces. The MMB501 is well-suited for advanced communication, gaming, entertainment, POS/kiosk, surveillance, many more applications related to industrial automation. To meet the distinct needs from users, there are six SATA-600 with RAID 0/1/5/10, six USB 3.0, five USB 2.0, four RS-232 ports, two RS-232/422/485 ports, one DisplayPort, one DVI-D, one HDMI and one VGA, as well as has two Gigabit Ethernet ports with Intel i219LM and Intel i211AT controllers. To ensure stable and reliable operation, the high performance Intel Core-based industrial micro ATX motherboard supports a watchdog timer and hardware monitoring features. 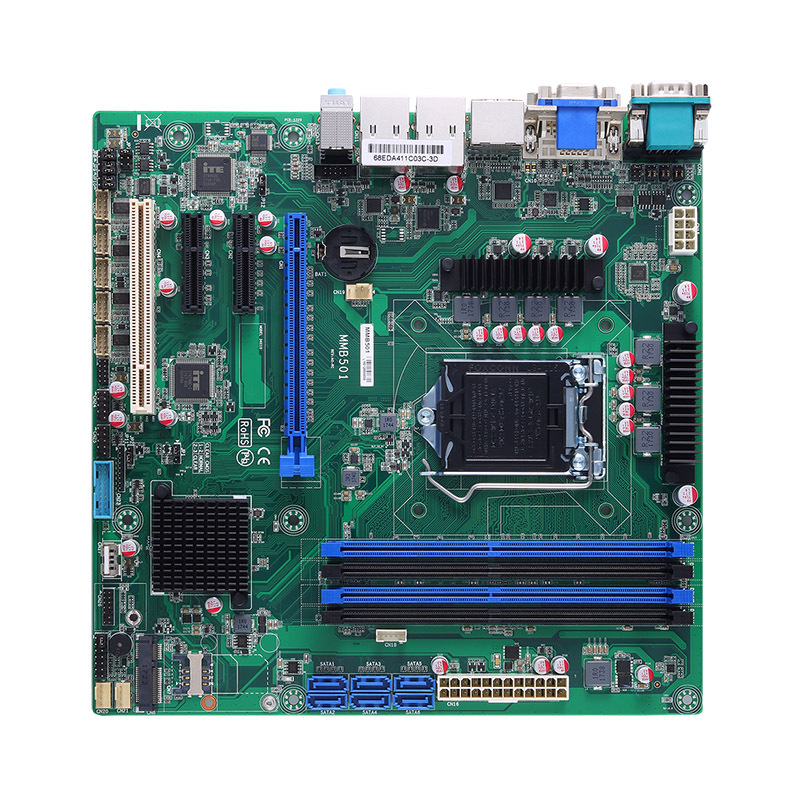 Furthermore, this new embedded board runs well with Windows 7 and Windows 10 operating systems. MEN Micro has announced the CB71C, a rugged COM Express module for rail, public transportation and industry applications like data acquisition, infotainment, transcoding and live 3D. It is 100% compatible with COM Express Type 6 pin-out and conforms to the VITA 59 standard, which specifies robust mechanics to ensure reliable operation even under the harshest environmental conditions. The CB71C is based on AMD’s V1000 APU family. It is equipped with a Radeon Vega next-generation 3D graphics engine with up to 11 compute units, and supports up to 4 displays with a resolution of up to 4k without the need for additional graphics hardware. With up to four high-performance processor cores, the CB71C is also suitable for virtualization. Based on the Rugged COM Express standard, the CB71C is embedded in a closed aluminum frame, which ensures optimum EMC protection and efficient conduction cooling supporting a temperature range of -40°C to +85°C. To withstand serious shock and vibration, only soldered components are used. The CB71C can be equipped with a wide range of long-term available processors with scalable performance, all supporting ECC. Passive cooling is possible with low-power versions. The CB71C can also be equipped with up to 32 GB of directly soldered DDR4 main memory and a 16 GB eMMC. 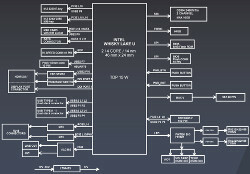 Available high-speed interfaces include PCI Express 3.0 links, DDI (DP, eDP, HDMI), SATA 3.0, Gbit Ethernet and USB 3.0.